Backward compatibility is one of the most important features gamers look for in new gaming hardware, but it appears as if Sony won't be accommodating with the PlayStation Vita. Having announced a PSP UMD import program in Japan, Sony has reportedly confirmed for Kotaku that North American gamers will not be able to transfer their physical media to the PS Vita. he transfer process isn't free, and the fee varies dramatically by title. Many full-price games command a fee of ¥1,000 ($13); titles confirmed to be in this price range include Dirt 2, Gran Turismo, and Patapon 3. However, one Pachi-slot title from Daito has a fee of ¥2,400 ($31) attached to it. Sony has said that the UMD Passport program will encompass some 200 games in Japan. The North American PS Vita won't be entirely bereft of backward compatibility. 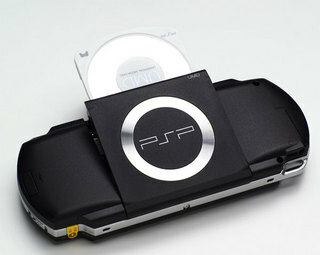 All PSP games purchased through the PS Store, including Minis and PSOne Classics, are compatible with the PS Vita. Are you frustrated by this? Let us know in the comments below!